2008 was a rough year for our family. It seems that when things had settled down from one event, something else would happen that would throw our lives into an upheaval! We found ourselves constantly asking God what He was doing. After hearing this song, I decided that this had to be our family’s theme for 2008. Released in July of 2008, this young lady could easily be compared to Vanessa Carlton. With her big voice and piano driven pop, the comparison is easily heard. The lyrics on this track describe how we try to often guess what God is going to do in our lives only to be surprised when He actually does something differently. God has the audacity to have a plan that often times is different than mine. He acts in ways that seem contrary to the way I think He should act. In my way of thinking, He is “unpredictable” when in actuality He is the consistant, constant one and I am the fickle, unpredictable being. Walking in faith is hard! I want to see the beginning all the way to the end, but God has this way of not showing me more than the next step. 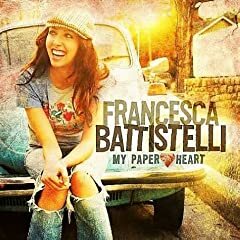 After hearing this great song by Francesca Battistelli, I can take comfort that I am not the only christian who feels this way! What Christmas playlist would be complete without this classic holiday track. The BNL display their sharp sense of humor on this mashed up track. The group mixes several musical styles to create a fun track that will keep you smiling all season long. The tune starts out as a lush ballad lulling the listener in, and with a whiplash change the track heads into polkaesque territory finishing with a mix of jazz, rock, and polka. What makes the BNL version of this song so much fun is the alternate lyrics the group throws in. Yes the group adds the schoolyard verse about shotgun shells and batman, with the leader singer breaking down in laughter half way through the song. This is a fun track that only gets better with each listening! If I could be any musical artist, I would Bebo Norman. His songwriting skills coupled with the way he sees the world, enable him to musically capture emotion and translate that into song. His acoustic style, similar to James Taylor, gives his music a singer songwriter feel. That would be my brand of music if I were an artist. 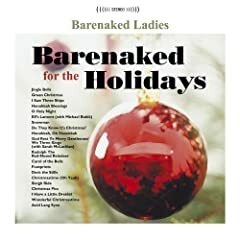 Norman’s Christmas disc, released in October of 2007, is a great soundtrack for the holiday season. The two songs I pulled off this disc, both written a couple of hundreds of years ago, highlight Norman’s arranging skills as an artist. These two tracks, which kick off the disc, are sung in churches during the Christmas season, but not the way Bebo has recorded them. Bebo took the tempo of “Come and Worship” and slowed it down tremendously. On first listening, I did not recognize this familiar hymn. Lush instrumentation coupled with the slower meter, transform this song into a stirring ballad. To me, it sounded like a brand new track! “Joy to the world” is similar. Norman did not play with the tempo, but instead tweaked the tune and lyrics in such a way to give the track a fresh new feel. Please do not get me wrong; neither song needed to be rewritten. 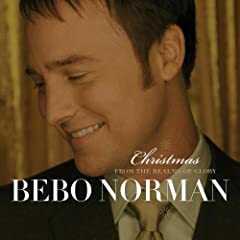 They are both classics straight out of the hymnal, but Bebo took both hymns and with a slight tweak has created some beautiful new Christmas music. Warning: If you are a purist when it comes to your yuletide hymns, then steer clear of these two songs, Bebo’s artistic license may hurt your Christmas cheer! From the first few notes of this great Christmas song, memories come flooding back. From an age when televisions were a piece of wooden furniture and not hung on a wall, this classic song was apart of one of the most continued watched Christmas programs: A Charlie Brown Christmas. Low tech by today’s standards, the cartoon is still loved today with a story that I am stunned they still allow on tv. 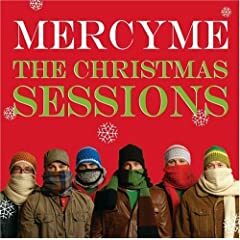 Mercyme, one of Christian musics premiere groups, covers this song on their 2005 released Christmas disc. Their version pays homage to the original with a lush, light jazz arrangement. The track is highlighted by a Chris Botti styled trumpet solo that gives the song an updatedfeel. The group adds their signature to the song without taking away from the nostalgia of the original. This is one of those tracks you could put on repeat on the cd player and never grow tired of listening to. The entire disc is fabulous, but this has to be the gem of the disc. Tackling a childhood classic is treading on thin ice, but this is a rendition that even Vince Guaraldi would be proud of . p.s. For some fun blasts from the past, visit the group’s channel on youtube and watch covertune grabbag. The group shows off their sense of humor by covering some great songs from the 80’s. Our family has decided that “Eye of the tiger” is the best! Here I am with my first song on my playlist and I am already breaking the published purpose for this blog. I said that I wanted to highlight tunes that would not be on the radio and therefore most people would have missed. 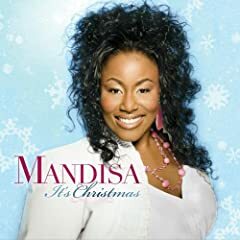 This song originally released on her 2007 Christmas EP has already been played on the airwaves scoring Mandisa a #2 hit on the Christian AC charts. Like most Christmas tracks, this song barely had a month lifespan on the air. Therefore not everybody got a chance to enjoy this song. Making a reprise, Mandisa added this song to her full length Christmas project that came out in 2008 allowing fans who missed the track to get a chance to hear it. I love Christmas songs, and particularly new songs composed for the season. Don’t get me wrong, I love the standards, but to hear artists adding new classics is always a treat. This track is composed by as well as sung by a great, young songwriter who is no rookie to soul stirring songs: Matthew West. West along with Mandisa deliver a great vocal performance to this Christmas ballad. Mandisa, contestant on season 5 of American Idol, has a strong voice that pairs nicely with West’s mellow tenor. What makes this song worth catching are the tear jerking lyrics. The two artists sing about how the Christmas season reminds them about loved ones who have gone home, soldiers who are off fighting, and family and friends who are all away during the holiday season. What caught me about this track is how it is so relevant to my Christmas season. My wife and I were discussing family and friends who have passed away and how it was hard to believe they would not be here this Christmas. Their memory is still so fresh, but their presence is missed. The track finishes with the Christmas story. It is the birth of Christ who died on the cross for our sins that gives us the hope that we will see those loved ones again. Whether its tears of gratitude for God’s sacrifice or tears of pain for those who we will miss this season, it’s hard not to shed any while listening to this soon-to-be classic Christmas song! The purpose of this Blog goes against my rules of music. In our age of downloads, most people miss the context of the songs on their iPods. I know that sounds rather snobbish, but that is my opinion. Think of a disc as a book. If you pulled out your favorite chapters from that book, say chapters 1, 3, and 10, and shared them with one of your friends. Would they understand the entire premise of the book. If the book was a work of fiction, would your friend completely grasp the story? Of course they wouldn’t. In my humble opinion, that is what we do when we download a few songs from an artist’s complete project. We miss the context with which those songs were penned and recorded. In a recent article on www.billboard.com, artist will.i.am, of the group Black Eyed Peas, said that their were no albums anymore. His reasoning was that you create a project of 12 tunes and place them on itunes. People, he said, then pick at those tunes like a scab. As disgusting as that sounds, he has hit the nail on the head. People pick and choose the songs they want versus the artist complete work. With that said, the purpose of this Blog is to highlight songs that a downloader might have missed. The typical song downloaded is something heard on the radio, and often times the best songs are those never singled off a project. Therefore, there is a lot of great music missed by the average person. So my goal will be to hit some tunes that you might have missed. I will hit both the secular and the sacred. Being a music fan, great songs have lyrics that hit home, no matter who does them. Now a few ground rules: 1. We will not count off for spelling. I will try to make sure every entry is grammatically correct, but occasionally something will slip by. So, please do not discount the post due to my haste or ignorance. 2. This is only an opinion, my opinion, but an opinion none the less. No matter how wrong, everybody has a right to their own view of things and this Blog will feature my opinion of each song. 3. This is a dialogue not a monologue. Please feel free to comment with any differing thoughts. I am a big boy and will not be offended. It’s only music. 4. As you can already see, I am very verbose. I will try to keep this brief, but I cannot guarantee anything. Thanks for your time and I hope your enjoy this Blog as much as me. My goal is for somebody to discover a song they might have missed that will bring some encouragement, a smile, or maybe even a tear.